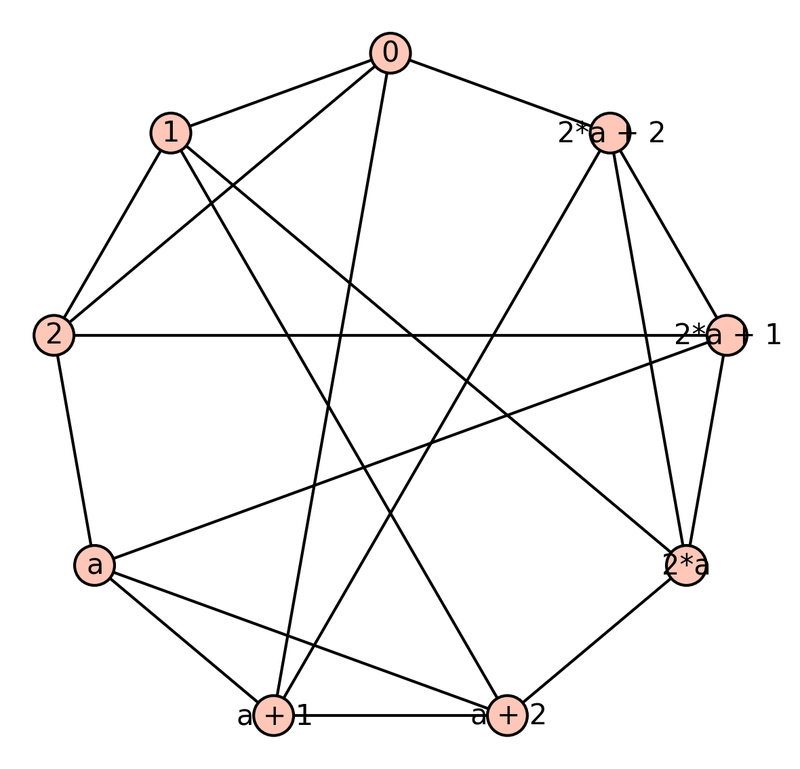 Let be a graph with an edge orientation. This means that we are given , where V is the set of vertices and E a set of ordered pairs of distinct vertices representing the edges, and, for each edge an “orientation”. Simply put, an orientation on $\latex \Gamma$ is a list of length |E| consisting of ‘s. If an edge e=(v,w) is associated to a -1 then we think of the edge as going from w to v; otherwise, it goes from v to w.
in the notation of Biggs [B]. If we identify with the vector space of column vectors and with the vector space of column vectors then B may be regarded as an matrix. as Sage's vertices and edges methods. a graph Gamma with edge-orientation vector eo. [B] Norman Biggs, “Algebraic potential theory on graphs”, BLMS, 1997. I think Caroline Melles for help debugging the code above.